Living in the Canadian Arctic regions, Greenland and the USA, the Inuit people and their ancestors were all fantastic weather forecasters. NASA has received a warning from the Inuits, that warning is about climate change, but it isn’t because of global warming, it’s due to the Earth shifting! They reported that the earth has shifted or rather, wobbled and say that their sky has changed! Elders have noted that the sun has been rising in a different position and that their daylight hours for hunting have been prolonged, as well as temperature rising more rapidly. 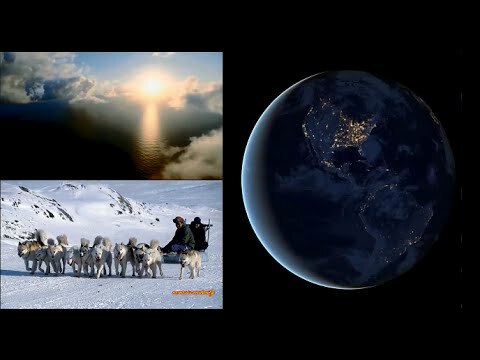 The Inuits have also stated that not only the sun has changed position but also the moon and stars, and they all have an effect on temperature and wind which makes weather prediction trickier. This post was republished from whitewolfpack.com. You can find the original post here.